AVA was responsible to the Federal Transit Administration (FTA) for Project Management Oversight of the South County Commuter Rail Project. The activities included monitoring the completion of the final design to FTA standards. AVA participated in the review of the Design-Build contract, evaluated the project sponsor’s technical capacity/capability and recommended the use of additional technical resources during construction phase. AVA was involved in the design review of the project and evaluated the constructability review. AVA analyzed the existing geotechnical information and provided assessment (of a claim by the contractor) of the pile foundation for the parking garage structure to FTA. 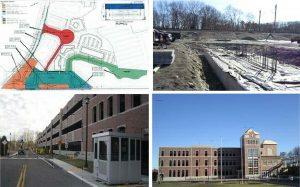 AVA provided a methodology for project closeout and financial closeout, which enabled the project sponsor to complete the process in a timely manner. AVA developed a number of “Lessons Learned” and provided to FTA for use on similar projects. The South County Commuter Rail (SCCR) project provides a twenty (20) mile extension along Amtrak’s Northeast Corridor from Providence to the South County Region with stations at Warwick and Wickford Junction/North Kingstown in Rhode Island. The project was designed to augment the existing commuter service by providing for eight (8) daily round-trips to the Warwick Intermodal Station at T.F. Green Airport and Wickford Junction. The project includes a loading platform, siding, mainline interlocking, and an (1100)-car parking garage built next to the Wickford Junction Station. New private commercial development has come up in the vicinity of the station to give it an urban character.